Why are China’s women-only subway cars full of men? Critics say the designated cars serve only as a distraction from the real problem of male attitudes in China. 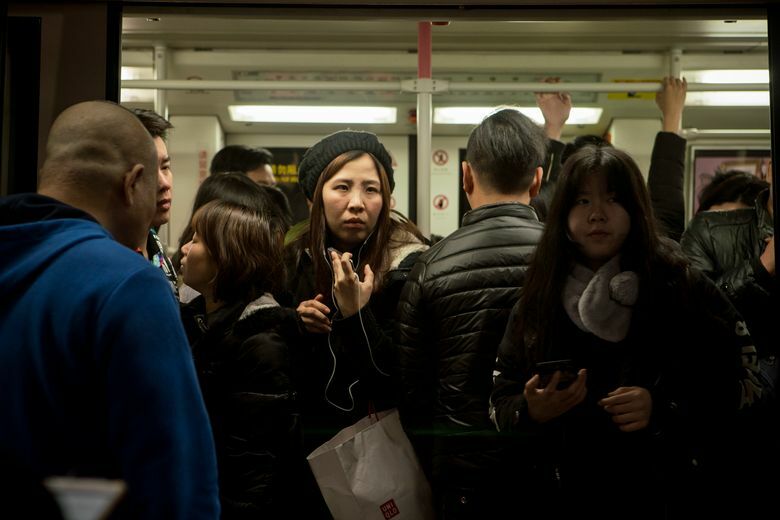 In one of China’s biggest cities, the women-only subway cars are full of men. It is, perhaps, an inescapable reality in one of the world’s busiest metro systems. Hop on a train during rush hour in the southern city of Guangzhou and you may find your face pressed against the back of a man’s down jacket, your knees banged by someone’s tote and your torso poked by a migrant worker’s sack of construction tools. Room is hard to find. So when the Guangzhou government began reserving cars for female passengers worried about being groped and harassed, they filled up — but not with the intended passengers. She gestured at the passengers like her, waiting for a women-only car. Many were men. 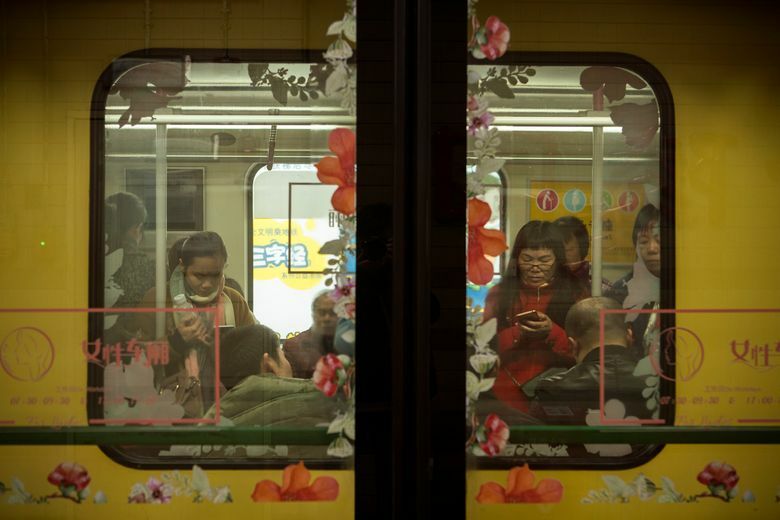 The women-only subway cars are in many ways a metaphor for China. It is a country with too many laws but, in many areas, too little enforcement. The government bans gender discrimination but does not define what it is. Those who complain risk getting punished. As a result, women who have been sexually harassed rarely file police reports. Offenders are seldom brought to justice. Based on a proposal from a member of a key political advisory body to the ruling Communist Party, the effort was launched to push the concept of “caring for women and respecting women.” Ye Zichuan, head of Guangzhou Metro’s publicity department, stressed that the cars were labeled for women but not “only for women.” He said that there was no legal basis to segregate passengers by force. The designated subway cars — two at the back of the line — are meant to be in effect only on weekdays and during the morning and evening rush hours. The doors for those cars are labeled “women cars” in pink Chinese characters and festooned with illustrations of blossoms. Critics in China say they serve only as a distraction from the real problem of male attitudes there. Female commuters in China have long complained that some men take advantage of the packed trains to cop a quick feel. More than half of women surveyed by the state-run China Youth Daily newspaper in 2015 said they had experienced “inappropriate touching” on public transportation in China. Jane Zhao, 25, a human-resources executive in an e-commerce company, said a man once groped her chest on the subway. In a bid to raise awareness of the problem of sexual harassment on public transportation, a group of young feminists in Guangzhou raised more than $6,000 last year from the public for an advertising campaign. But authorities blocked it, saying it would cause “panic to the public,” according to Xiao Meili, one of the founders of the collective. Authorities later told them that only government organizations were allowed to sponsor public-interest ads, Xiao said. Then, there is the issue of the crowds. Guangzhou has the world’s fourth-busiest metro system, after Shanghai, Beijing and London, according to Metrobits, a nonprofit website that analyzes urban transportation systems globally. In a day, there are roughly 8 million passenger trips on the Guangzhou subway, Ye, the city subway official, said by email. During rush hour, the average rail car has 310 passengers, he said. Many of the men on the cars said they supported the idea and wound up in one for women by accident.